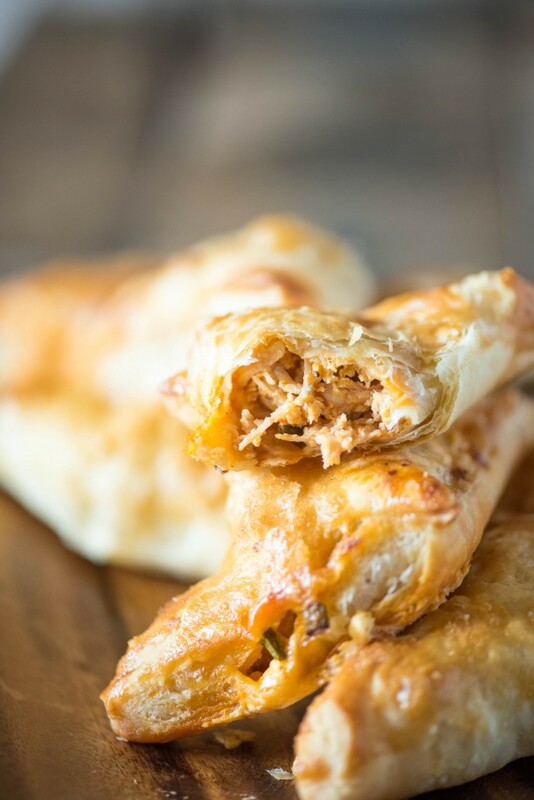 These Buffalo Chicken Puff Pastry Pockets are a quick treat to whip up for game-day parties and tailgates. Only a handful of ingredients and super easy! I can take or leave football, except for Notre Dame, my alma mater. I’m just here for the food, thank you very much. Dave and my brother-in-law Matt are hard-core obsessed with chicken wings. The two of them have so many inside jokes about eating wings that it can be borderline annoying to be around them when they’re chowing down on buffalo wings. I mean, I love wings- but not that much. I had the idea for these after I ended up with half a rotisserie chicken leftover from dinner. As I always do, I pulled it off the bone and shredded it before putting it away. Shredded rotisserie chicken is one of the best blank canvases for recipes- and a total time saver to boot. I decided to bring all the flavors of buffalo wings into a tasty (and decidedly less messy!) 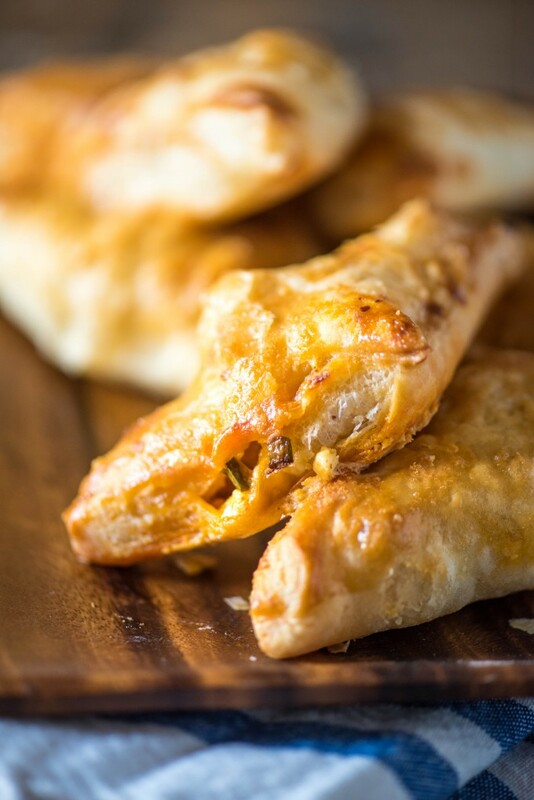 snack food- perfect for weekend snacks, tailgating, or game watch parties. 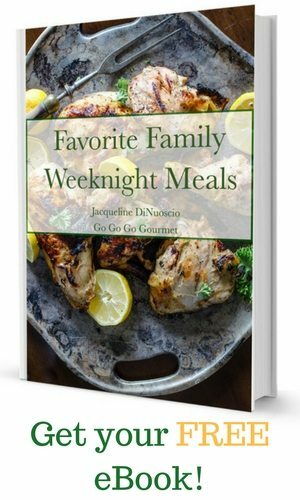 With only six ingredients, they are simple and easy to make, but (as always!) packing a huge punch of flavor. I was completely in love after the first bite. They were awesome! 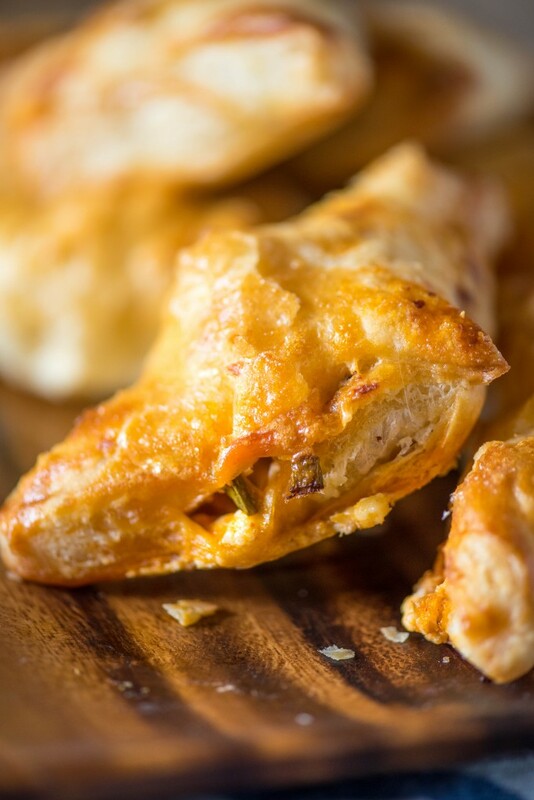 The puff pastry was buttery, light, and crispy, and packed with spicy chicken and crunchy green onions. The combination of tastes and textures was completely phenomenal! 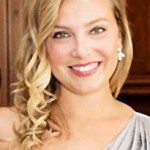 My sister-in-law also suggested possibly adding some chopped celery into the mix for even more crunch. If you try it that way, report back- I’d love to hear how it is. I cut my puff pastry into 9 squares, but I think you could make “mini” versions of these and cut each sheet of puff pastry into 16 squares too. If you go this route, make sure not to over stuff them- you’ll probably only be able to add a rounded tablespoon of filling to each square. If you aren’t a blue cheese fan, you could stir in 1/4 cup ranch dressing instead, and/or a shredded melting cheese like cheddar, mozzarella, or a Mexican blend. 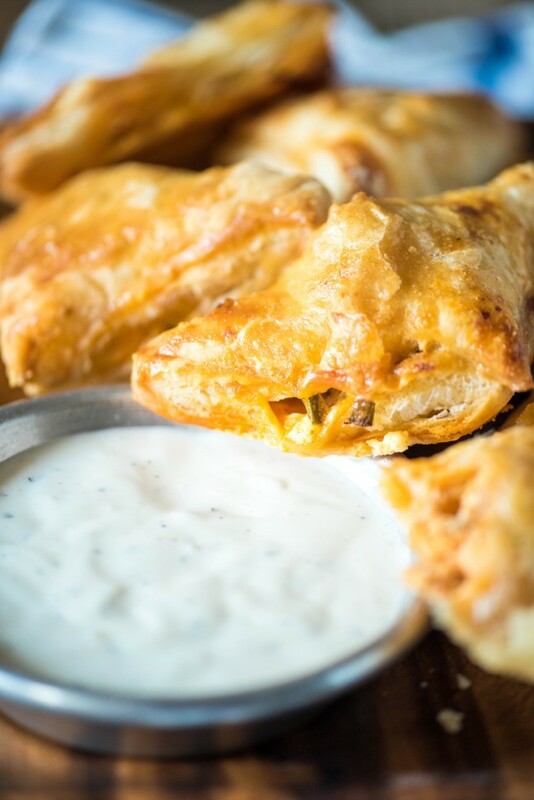 Dipping ideas: jalapeño sour cream, ranch, chunky blue cheese dressing, guacamole- maybe even French onion dip! These need to go onto your next Thursday/Friday/Saturday/Sunday/Monday (WHY are there so many nights of football!?) rotation. You will definitely be the MVP. So corny. I know. I’m sorry. In a mixing bowl, stir together the chicken, buffalo sauce, blue cheese and green onions until well combined. Lightly flour a surface. Unfold your puff pastry onto your prepared surface and roll out creases. Use a pizza cutter or sharp knife to cut the dough into nine squares. Place a small amount of prepared filling (~@ tablespoons) in the center of each square. Beat the egg in a small bowl. Use a pastry brush to brush the edges of each square with the egg wash. Fold over to create a triangle and press the edges together to completely seal. Repeat for the remaining squares, then repeat the process for the second sheet of puff pastry dough. Line a baking sheet with parchment paper, or spray with nonstick cooking spray. Evenly space out the pastry pockets (~1 inch apart), then brush with egg wash again. Bake in preheated oven for 20 minutes, until golden brown. 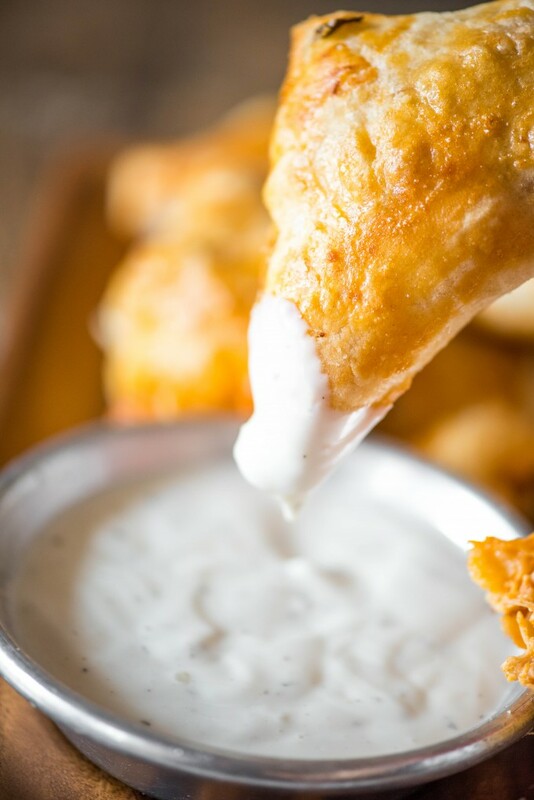 Let cool and serve with ranch for dipping.